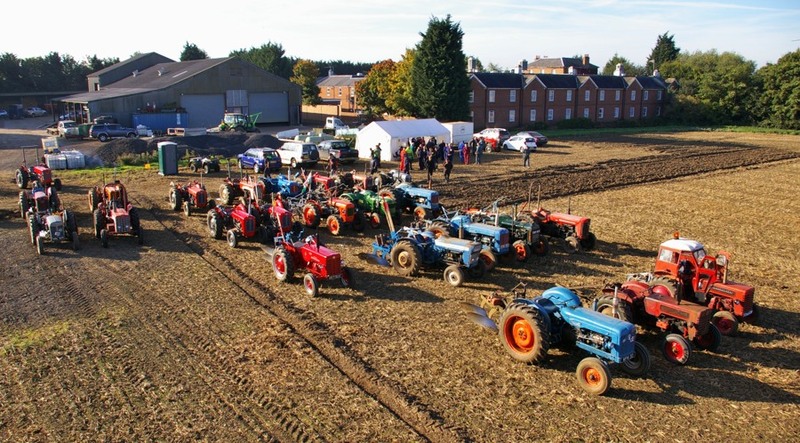 North Bucks Vintage Tractor Club: Finishing the year on a high! It's been very busy this year! I am sorry for not having really been on top of website updates over the last few weeks... but the great news is that... We have finished the 10th anniversay book for the North Bucks Vintage Tractor Club! It's been a lot of work for Sandi and I, but we hope it was well worth it! I would like to thank all of you who have helped by supplying photos and content, and taken time for our interviews. Here you can see a sneak preview of the front cover! There are hundreds of great images and all the facts about our Club and its first decade. The book is now in print and we expect it to be available for the November meeting! This will be a limited edition of 100 copies only, and Club members will obviously have priority! So it's not too early to contact us to secure your copy! It's been a great season courtesy of good weather, and all of us have been out and about attending shows. Back in August the Vintage Tractor Show at Blakesley was a very good event and the NBVTC was well represented. I have now uploaded some pictures and in the Tractor Shows collection you can also find new images from Dorset, Haddenham and the working weekend of the VHGMC, all courtesy of Sandi and Roger. A little over a week ago our last ploughing match of the year took place at Moulsoe Farm on October the 6th. Excellent conditions made for a very good event, which was attended by well over 30 tractors. All the images were uploaded on this new photo gallery in our Club Events section. Our winter program is now on going at the Newport Pagnell Football Club and the next meeting will be the AGM. This will be a special occasion as to mark our 10th anniversary the Club will make a donation to all four of our charities. Then we look forward to the last tractor show of the year at Newark, before closing 2013 with our traditional Christmas Road Run. We look forward to seeing you all in great numbers!